You must be patched to 1.42 to use this mod. 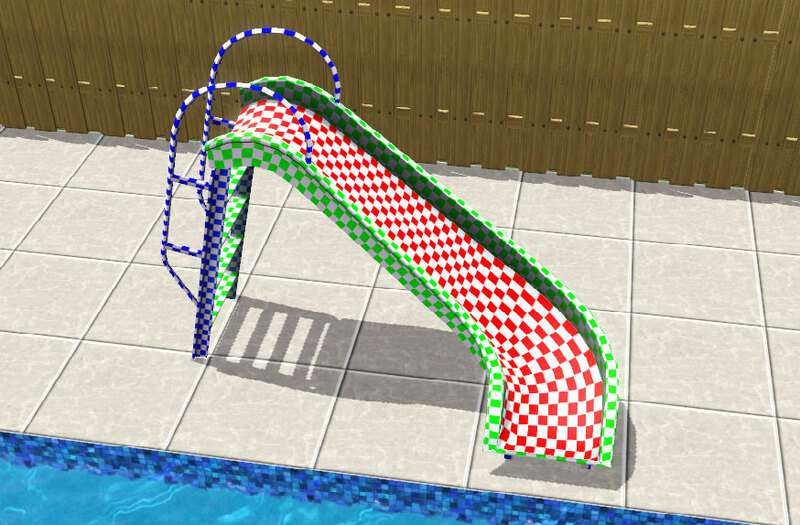 This is a functional pool slide for you sims. Just click and select "Slide". Currently it's only available to children, with future update to include teens. Includes three castable channels. Found in Build/Create Pool/Pool Objects; price 675. See the slide in action: http://youtu.be/CBcRjsdIQWA. Enjoy! Thanks to Inge and Peter Jones, Atevera, BloomBase, and Orangemittens. 2777 people have said thanks to cmomoney for this download.